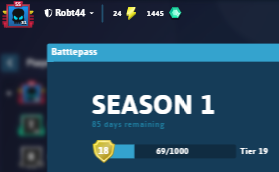 Battle Pass - share with the community how far you are at unlocking tiers! 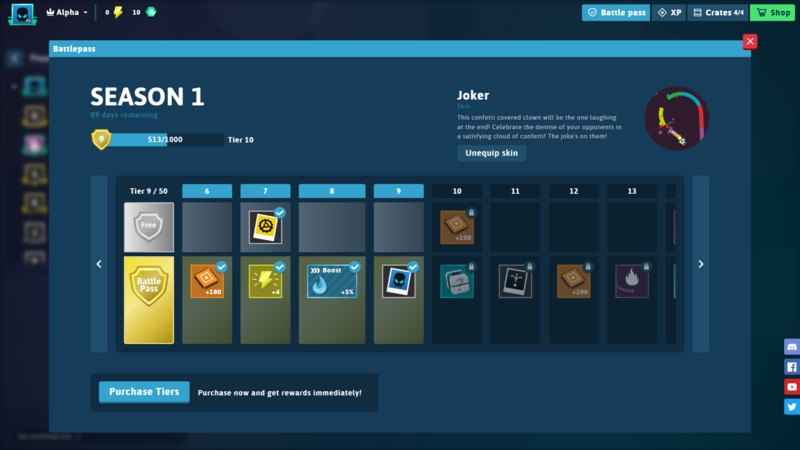 Yesterday, on 24th of January, patch 1.6.0 went live in-game! With that update, the developing crew released Battle Pass system which is really cool in my opinion. 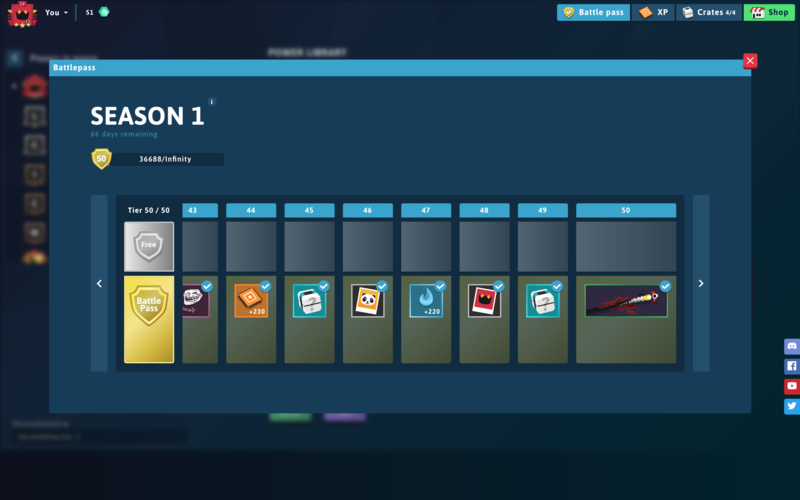 It is seasonal and in every season, players can buy it for 400 gems. Season lasts for 90 days and players can collect tiers during the season. 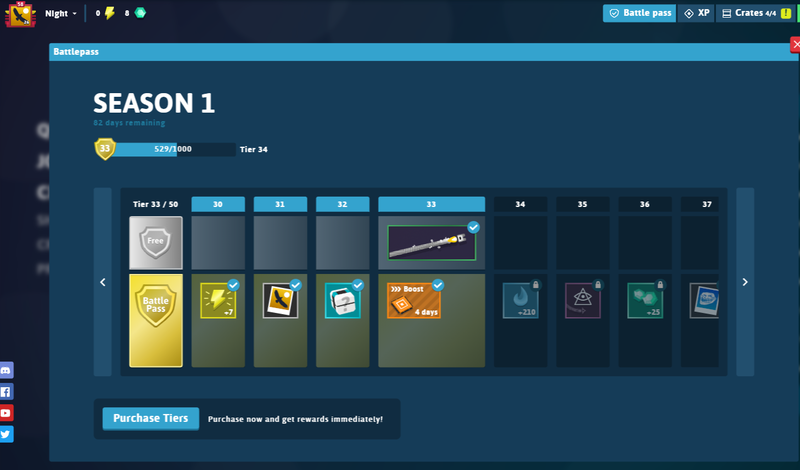 There are 50 tiers in the first season. 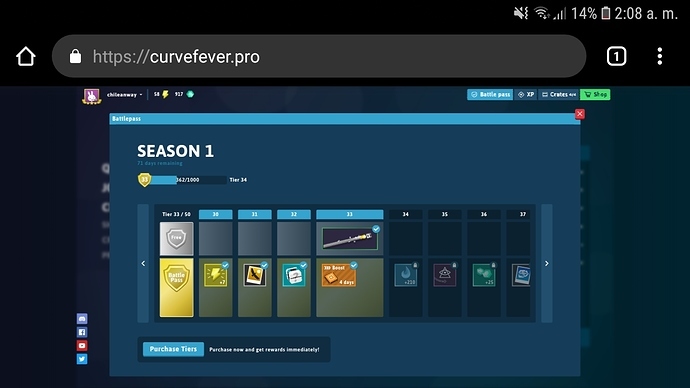 More information about that update can be found here: Curve Fever Pro Update Notes | 24-01-2019 | 1.6.0. So, I am curious of how far you have got with the tiers - that is also the main reason, why I created this topic. I would like to suggest posting a screenshot of how far you are every day, in the evening. I will start with that. Since I could not create a poll, I had to figure out another solution for getting feedback to my next question. 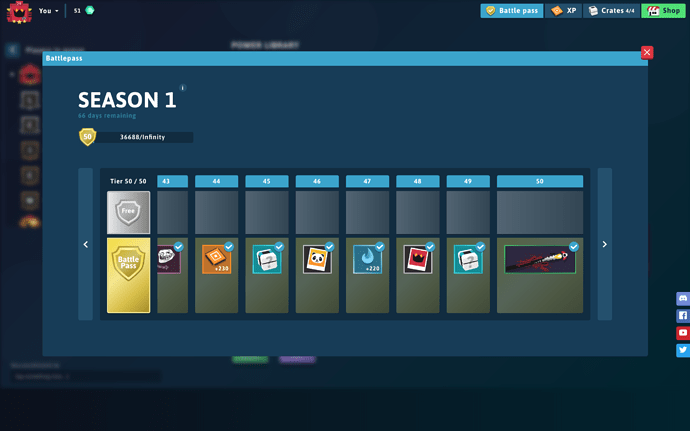 The question sounds like this: Have you bought the Season Pass for season 1? Add a heart to this topic if you have, or reply to this thread. 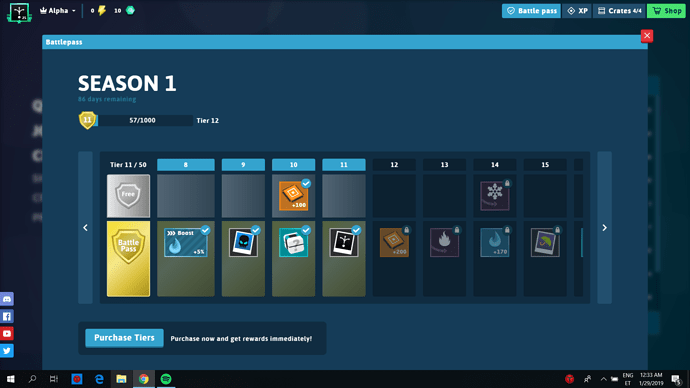 As you can see, I have 9 tiers so far and I am halfway done with getting the 10th tier! P.S. Do not forget to add the time (you can say around what time it was) of when you took the screenshot! Let’s see who will unlock the Vampire skin first! 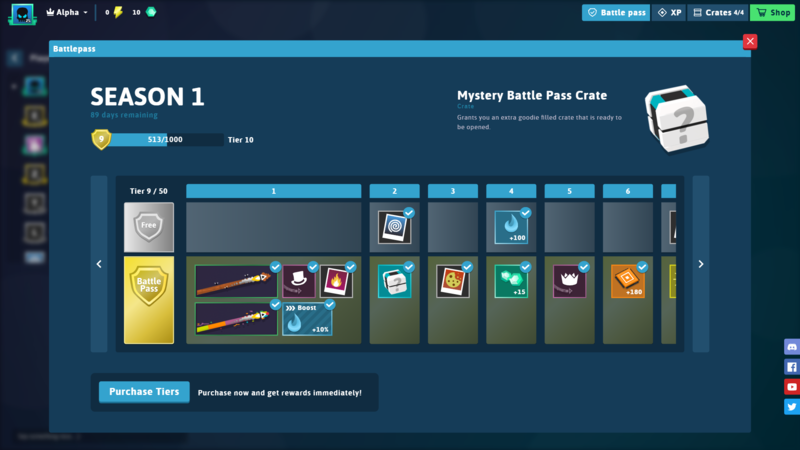 tier 4 no battle pass. 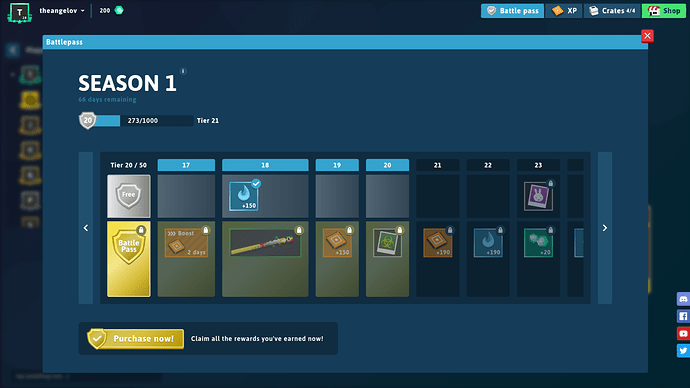 If I get a tier every 3 or 4 days, should I be able to get to tier 33? Complete off topic here, why does @Alpha not have to mod tag here? I thought he was a moderator!?!?!? @Alpha is the Tournament Moderator of Curve Fever 2. I just got the cogwheel icon! 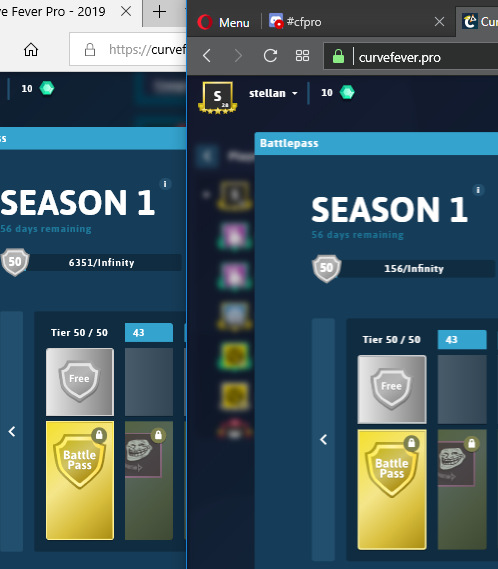 How is it going for you, curvers? OK, so my challenge is done, 2 x 50 Tier… what will I do in the next 2 months?